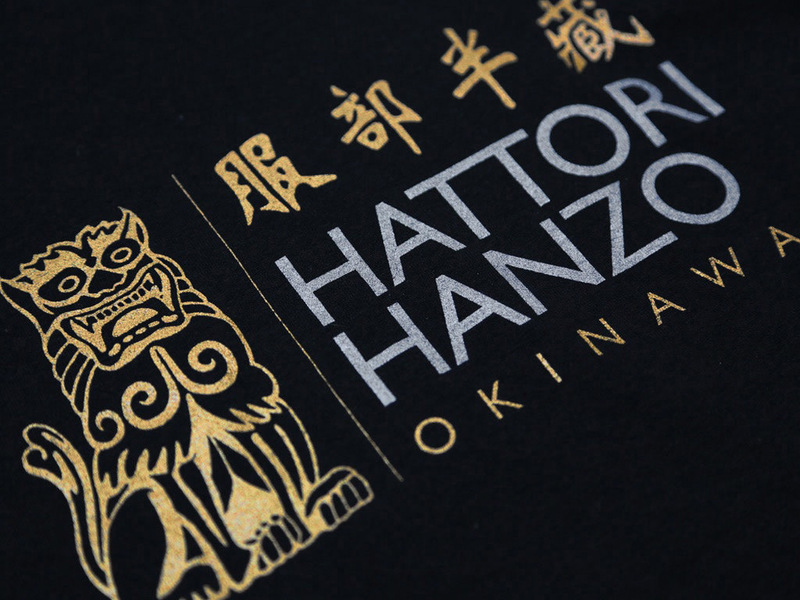 A two colour design using silver and gold coloured ink, hand screen printed on a ladies fit with scoop neck 100% cotton black T-shirt. 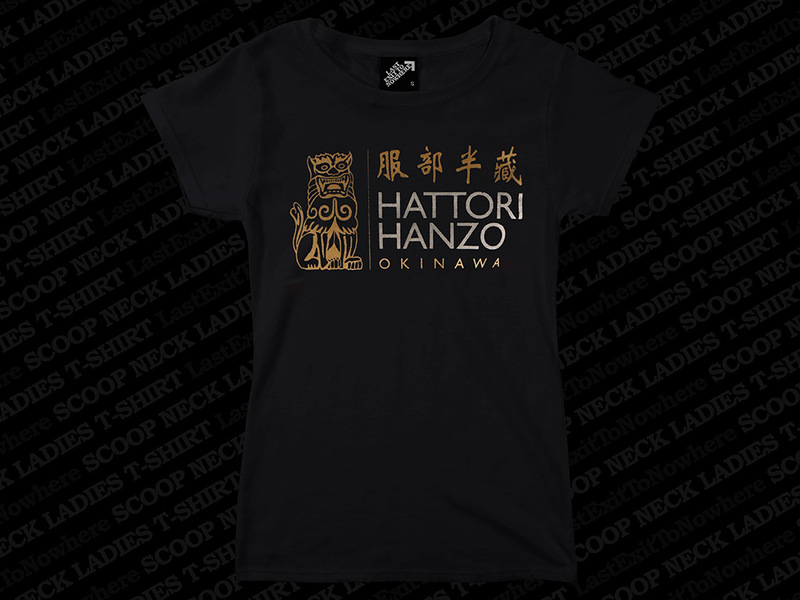 Inspired by the fictional retired swordsmith that features in the 2003 film, Kill Bill: Vol.1. This American martial arts film was written and directed by Quentin Tarantino and stars Uma Thurman, Lucy Liu, Michael Madsen, Daryl Hannah, Vivica A. Fox and David Carradine.